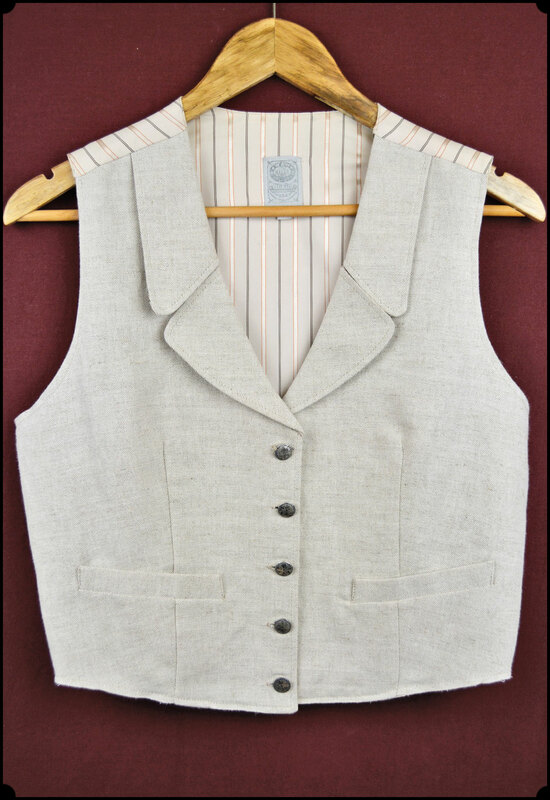 Ladies Cotton and Linen Vest By Wah Maker, with five Floral metal buttons. Make a statement with this quiet yet elegant Ladies Vest. 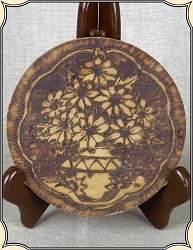 The backing is a lovely stripe. We only have one of this great vest in stock, size medium, so get it while you can. 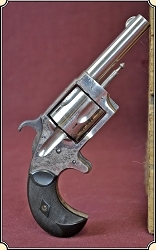 "Sterling" .32 rimfire spur trigger revolver.